There is no substitute for experience. We have been so privileged over the years to have trainers at Music SA who have a wealth of experience in the music industry both as performers and behind the scenes – people who are actually doing it – who are willing to give back to the industry they love and help tomorrow’s crop of artists, managers and bookers make their mark on the local and national scene. Kim Roberts is a passionate educator with 7 years experience in the Vocational Education sector. Kim has also been involved in many aspects of the music industry, from playing in bands, to broadcasting, working for events and writing for street press. She currently manages and plays guitar in post-rockers Last Days of Kali, supporting titans such as Mono, Tortoise and Boris. She also hosts and produces a weekly show on Three D Radio, where she is a member of the Programming Committee and former Board member. Kim manages the educational duties of the RTO and teaches the Certificate IV in Music Industry. Dale Taylor is a multi-instrumentalist, songwriter, producer, recording, mix, mastering engineer, acoustics consultant and music educator from Adelaide. Dale has performed on a local, national and international level over the past 20 years. He has worked with local and international artists in many genres from techno, rock, hip-hop, electronica to world music. Currently Dale is the guitarist of the band The Cities Alight and electronic outfits Gods of Techno and Ningen. As a qualified and experienced VET and schools educator, Dale teaches the Certificate III in Music Industry. Qualified journalist and teacher Libby Parker has had a broad range of media experience across many facets of the industry from radio, print and online journalism through to public relations and writing advertising copy. She has written for publications such as The Advertiser, Barker Mag, Weekender Herald, Refraction Media, Salisbury Aware, Bside Mag, Yewth, UniLife, Glam Adelaide and The Upside News. She has worked with Radio Adelaide, Three D Radio, Radio Adelaide and ABC. She has been publicist for Music SA, Adelaide Festival, Bespoke and others. Libby is a proud word nerd and music enthusiast. Matthew Vecchio can be regarded as a chameleon of the music scene. With vast experience in the industry as a sound engineer, producer and performer, there is very little he hasn’t attempted. Mat has organised over 1,000 local music shows as well as acting as the in-house booking agent for hotels such as the Crown and Anchor and the Crown and Sceptre. 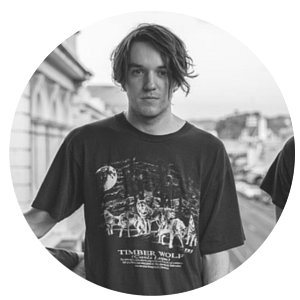 He has had over ten years experience mixing live shows in nearly every venue in Adelaide, has been involved in both commercial and community radio, created sound design for live theatre and film and written music for video games. Mat is currently the production manager at Adelaide Unibar and a casual fill-in on MIX 102-3. He has his own band Pink Noise Generator. Sean Kemp has been playing in bands for twenty years, enjoyed national radio exposure and has performed on over 50 local releases either as a session drummer, singer or guitarist. Having toured Australia and Los Angeles, Sean thrives on live performance supporting some of the biggest names in music such as The Animals, Dionne Warwick, Tim Rogers and Ash and performed at iconic venues like the Gov and Thebarton Theatre. Sean is a qualified trainer/careers advisor and loves passing knowledge on to younger artists to go out and be the best they can be. Sharni Honor is the original governor of the award winning concept of The Porch Sessions for the past 5 years running. 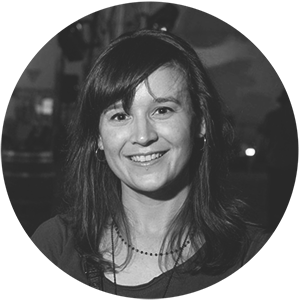 In addition to this she has worked within some of South Australia’s leading festivals and music industry outlets, including WOMADelaide, Adelaide Festival, Adelaide Cabaret Festival, Adelaide Fringe Festival, Rip It Up Magazine as well as being apart of a smorgasbord of boutique Adelaide events, concepts and ideas. She is wildly passionate about Adelaide and Persian rugs alike, and when she’s not organising events, she’s in and amongst them, experiencing exactly what makes good events, great, across South Australia and beyond. Joel Byrne is an experienced music industry professional and singer-songwriter. His band Wolf & Cub were signed to international label 4AD and released their debut album Vessels to high rotation on Triple J. The band subsequently toured internationally, releasing two further albums and supported bands such as Wolfmother, Queens of the Stone Age and The Killers. Joel works at Music SA as Industry Development Officer coordinating the Clipsal Bands On Track Competition and bookings through Adelaide Airport and Central Markets. 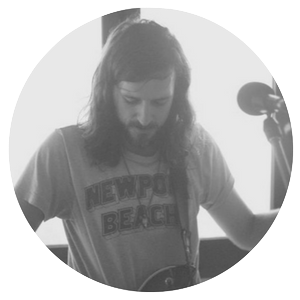 Tom Gordon is the singer-songwriter in local twin success stories Horror My Friend and West Thebarton. Having supported such varied international and national acts such as Violent Solo, The Cribs and Courtney Barnett, managing artists Paradise Club and Siamese, as well as releasing his records Stay In, Do Nothing and Home Life through Poison City Records, Tom brings his valuable touring and management expertise. An experienced school teacher, Tom also works at Music SA as Industry Development Officer coordinating the workshop program and schools roadshows.